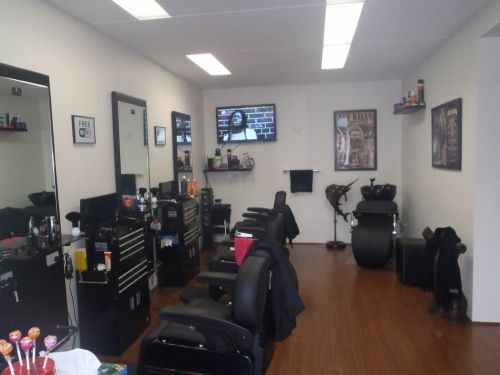 Barber Shop/Mens Hairdresser, including creative hairstyling, Shaves and supplying mens hair products. Great Haircuts, with a great reputation. Servicing Botany, Mascot, Banksmeadow,Sydney Airport and the Eastern Suburbs of Sydney. No appointment needed. At Misty Hair we welcome you to your elegant,modern salon you must experience expert advice on the latest cuts,colour and styles .Bernedette the salon owner has 22 years experience and a very dedicated Hair Stylist .Bernedette has work with L'oreal PROFESSIONNEL colour for 17 years she enjoys the richness in the colour and still leaves the hair feeling fabulous .Misty Hair largest selling , most popular hair extension 100% silky human hair .The most important part of our service is consultation we believe in your clients to have stylish hair everyday by giving them the best advice for their hair types and face shapes .Book your appointment today and listen to what the team at Misty Hair stylist is recommending the style of your dreams .